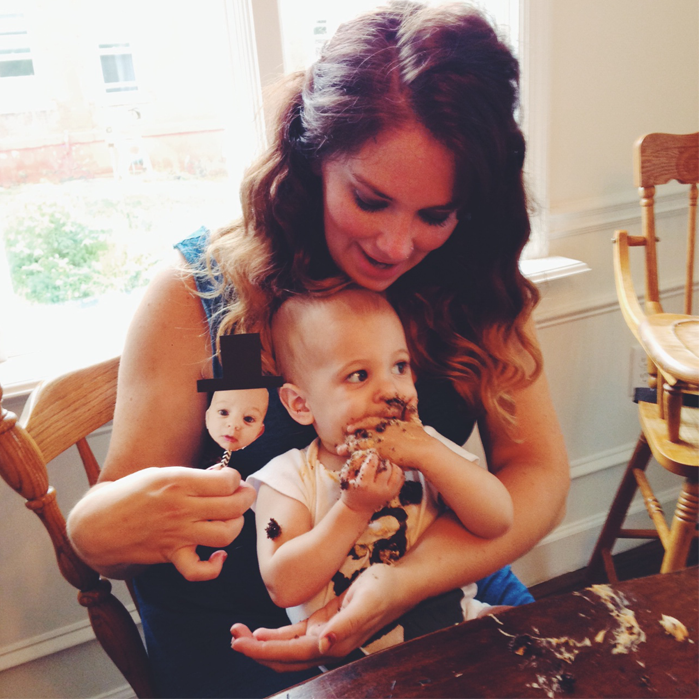 d a n i e l l e b u r k l e o : (HONEST) ABE TURNS ONE! One year ago yesterday, our sweet Abram was born. Yesterday we celebrated his first beautiful year of life! 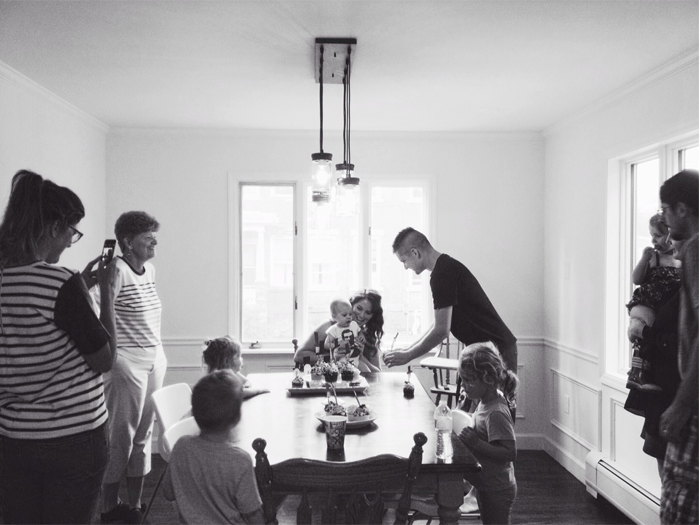 We just moved into our new house that we have been renovating the past six months on Friday. It only seemed right to throw a party two days after moving in. Boxes everywhere: check. No furniture: check. 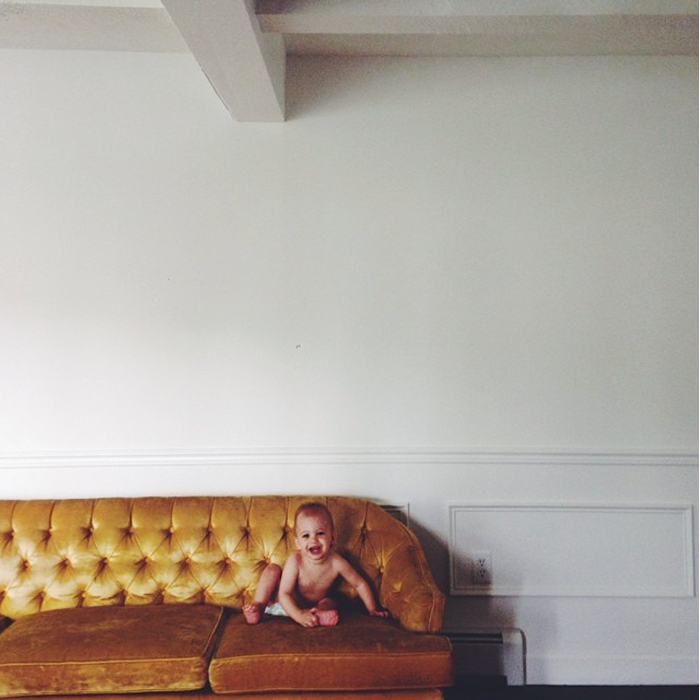 One year old boy: check. So much to celebrate: check. 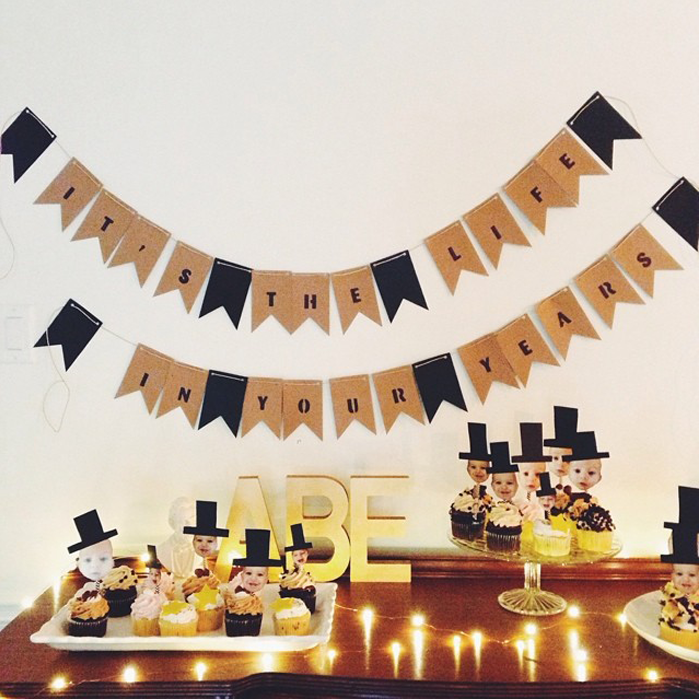 I decided last week, HA, to throw an honest Abe party, for the most honest Abe I know. 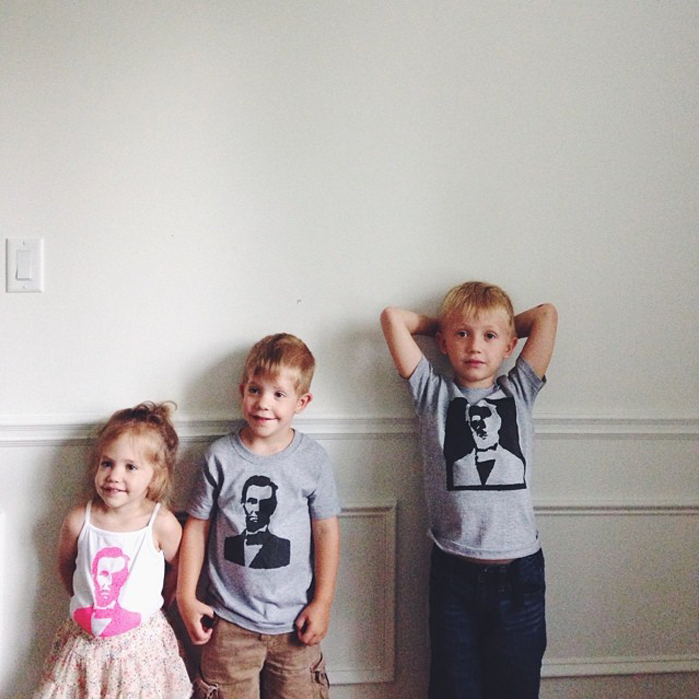 I saw these shirts, which inspired the party, and I wanted to purchase but it was a week before my little dude was turning one and they wouldn't make it in time. 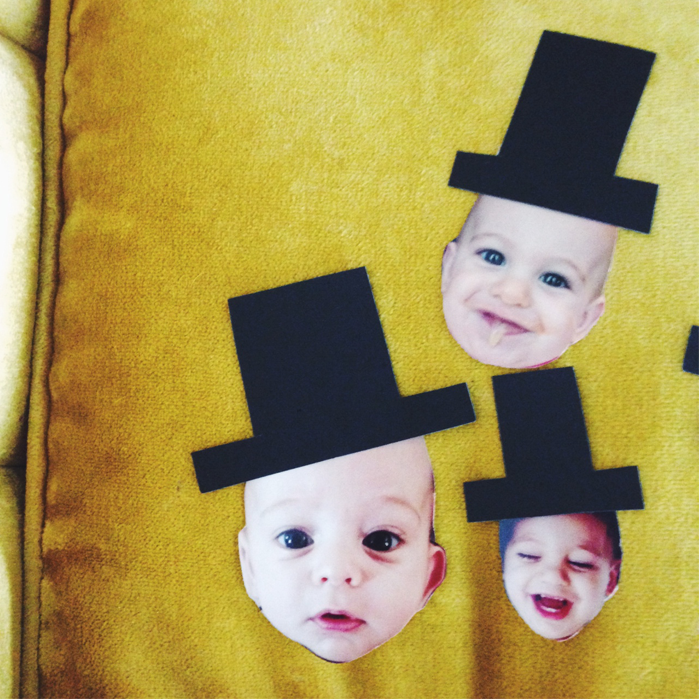 Lucky for me, Dana never fails me with her DIYs and had this tutorial with good ol' Abe's face. I followed her instructions and only botched three shirts along the way. Story Kate chose pink, of course. I had big plans for breaking out my actual camera but that didn't happen. Probably because it was buried in some pile of clothes somewhere. Whoops. Who knew that many years ago Avon sold aftershave in Abraham Lincoln figurines? Not I, but Etsy knew and I snagged two of these bad boys from these two vintage shops. 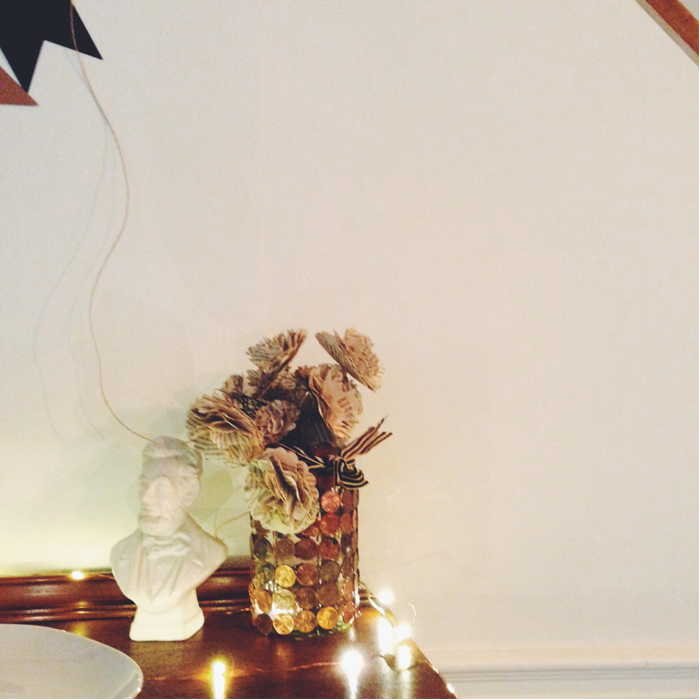 I also hot glued pennies to a mason jar like a boss. 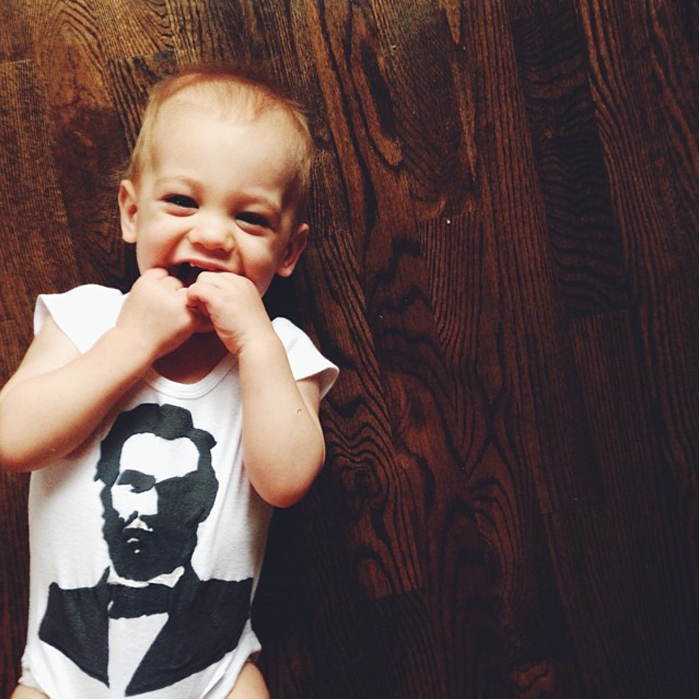 There are so many good Honest Abe quotes, but this one was the best of all, for my big one year old. "In the end, it's not the years in your life, it's the life in your years." I made the best decision I've ever made and ordered from Moe's catering menu and cupcakes from Coccadotts and then made some pretty kick A cupcake toppers if I do say so myself. I feel like Abe liked his cupcakes. Happy birthday to my baby boy. 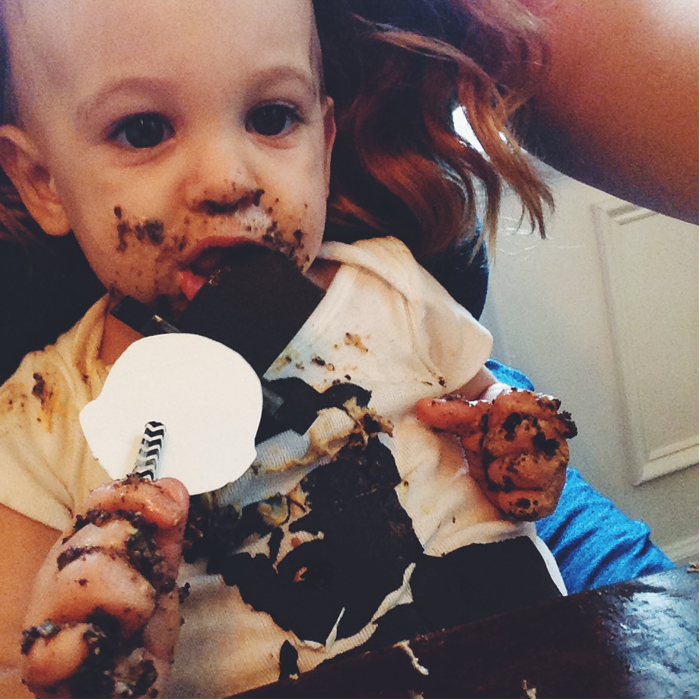 I cannot believe you are ONE already! I am so glad you were born. Only the greatest birthday party I've ever seen. You totally rocked it. the cupcake toppers are definitely the best thing you have ever created ever ever ever and possibly the best thing that has ever been created in the universe ever ever ever. besides abe, of course. 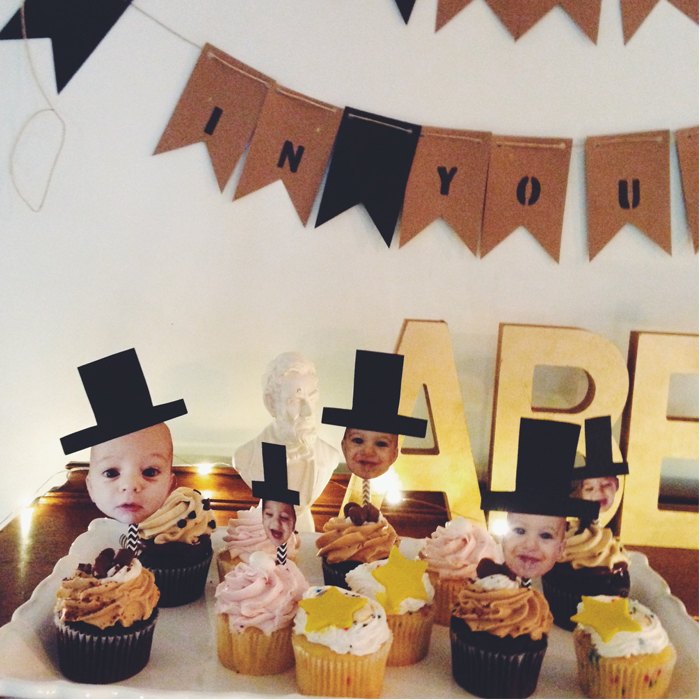 What a perfect theme for your little man. I love every bit. It never ceases to amaze me how a child that was birthed from your heart, can still resemble their God chosen family. He looks so much like your other children!